Fonterra's opening milk price forecast for its farmers for the new season is $4.25 per kilogram of milk solids, while the dairy giant has kept its forecast for the current season at $3.90. The body representing Fonterra's farmers, the shareholders council, said the $4.25 forecast was a "tough number" to hear but represented the reality of where the market was at the moment. If the new season forecast remains in the low $4 range, this will mean three consecutive seasons of sub-$5 returns for farmers. See here for the full dairy payout history. While economists had expected Fonterra to be cautious with its opening forecast, the figure came in below average market expectations of around $4.60. The New Zealand dollar fell by over a quarter of a cent against the American currency when the forecast was released. A short time ago the Kiwi dollar was trading at just under US67.3c. ANZ chief economist Cameron Bagrie and rural economist Con Williams said while cash flow for farmers in 2016/17 looks better than during the last 12 months, there is only a marginal increase and "it’s not enough to restore profitability". "...The sector is facing a long drawn out adjustment that is both cyclical (weak prices in the near-term) and structural (shifting supply dynamics). "When you map this against expected expenditure, many farmers are still struggling to break-even despite cuts in expenditure and other farm management changes to help re-adjust individuals’ and the sectors’ cost base. Until the milk price moves back above $5/kg MS (and higher dividend payments persist), it’s going to be difficult for many farmers to generate profit/breakeven. "...From an economy-wide perspective, continued dairy cash flow pressures will weigh heavily on many other support businesses. Despite the loss being less stark, they are accumulating to a higher level. Land values will also remain under pressure. The rubber will really hit the road for the sector in the back half of 2016 and 2017. Even under a price-rebound scenario, where the 2017/18 payout looks better, positive cash flow will not return until 2018." Bagrie and Williams said. Fonterra is required under the Dairy Industry Restructuring Act to announce its forecast milk price at the beginning of each season, which starts on June 1. Chairman John Wilson said the co-operative’s forecast took into account a range of factors, including the high New Zealand dollar/American dollar exchange rate, supply volumes from other major dairying regions, current global inventory levels, and the economic outlook of major dairy importers. "Conditions on farm are very challenging," Wilson said. He added, however, that the strength of Fonterra's balance sheet was enabling the company to increase the advance rate to farmers in the first half of the new season (to $3.01 per kilogram of milk solids). "We will also bring forward payments for this season’s milk. This will provide some assistance with on-farm cash flows. "We are doing this while remaining within our policies and maintaining our financial discipline." The New Zealand dollar was relatively high and was currently effecting milk prices and our forecasts, Wilson said. "We are expecting global dairy pricing to gradually improve over the season as farmers globally reduce production in response to ongoing low milk prices, however we continue to urge caution with on-farm budgets." Fonterra Shareholders’ Council chairman, Duncan Coull said the signal farmers had received from the opening new season forecast was that while there were encouraging signs the market should move in a positive direction over the next 12 months - it would be slow to do so. "However, we as farmers are very well-tuned to volatility and its capacity to fluctuate and will have this front of mind as we work through our budgets for the coming year. "It is also important that we take into account that this is a forecast for a season which has not even begun so, as we move through the year it is vital that farmers continue to read the signals being delivered by the market and our co-op, and act appropriately. "Fundamental to this is that Fonterra communicates any significant pricing shifts to our Farmers in a timely and transparent manner." Wilson said Fonterra would announce the company's forecast earnings per share for the 2017 financial year in July as normal. In the current financial year the company has an earnings per share forecast of 45c to 55c and is aiming for a 40c dividend, with 20c of this already paid, another 10c about to be paid (on June 7) and a final 10c to be paid a bit later - though still earlier than usual to assist farmers. 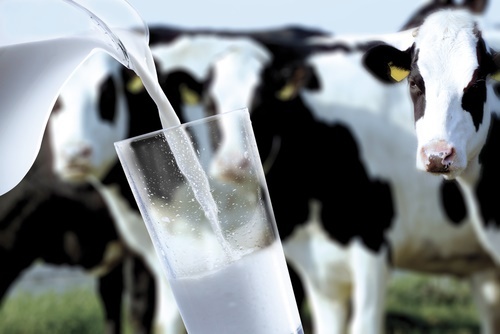 Fonterra chief executive Theo Spierings said the long term fundamentals for global dairy remained positive with demand expected to increase by 2% to 3% a year due to the growing world population, increasing middle classes in Asia, urbanisation and favourable demographics. "In addition to global supply growth slowing, we are seeing imports into major dairy markets improving compared to a year ago. China dairy consumption growth remains positive and its demand for imports has been steady over recent GlobalDairyTrade events. "We will remain focused on securing the best possible returns for our farmers by converting their milk into high-value products for customers around the world," Spierings said. Coull said the opening advance rate to farmers spoke to the strength of Fonterra's balance sheet. "Farmers can look to this as an indication that their business is in a strong position, and that their board is aware of the current situation on-farm and has a desire to relieve cash-flow pressure where possible. "However, the current environment is placing additional stress on us all and as such there is a need for us all to continue stay engaged in our communities and support our friends and neighbours." ASB chief economist Nick Tuffley - who had expected an opening forecast of $4.80 - said the still-low milk price forecast was sending farmers a strong signal to keep focusing on costs. "It is also likely to bring about a greater production decline over the season than the 3% we expected off the back of an assumed $4.80 milk price. "Potential for an even bigger supply adjustment will further reinforce the eventual upcycle in global dairy prices. After several years of strong global production growth NZ has already been responding to the weak price signal by cutting production. Australian production is also responding, and EU production is belatedly starting to adjust. On the demand side, China’s dairy imports are starting to lift back up." ASB economists continue to expect an eventual milk price for the coming season in the region of $6/kg as the anticipated supply contraction and demand lift bring back price tension. ANZ's Bagrie and Williams said they "are inclined more toward the high $4/kg MS". "...But the price action in the July/August period will be critical. Something in the high $4/kg MS involves the NZD/USD trading around the mid-0.60 cents and wholemilk powder prices heading back to around US$2,500/t," Bagrie and Williams said. WMP prices averaged US$2252/t at last week's GlobalDairyTrade auction. ....we continue to urge caution with on-farm budgets." URGE: try earnestly or persistently to persuade (someone) to do something. - message there for the Tin Tank? Albert Einstein could preach The Theory of Relativity to ten monkeys for Twenty years and you would still have ten monkeys at the end. The Board have no idea it is a rudderless ship slowly sinking under WMP,and no solution in sight. At least this announcement is probably not as recklessly optimistic as previous payout guesses from Fonterra have been. Pleased I'm not an ASB client, with their continuing $6 predicted payout. Roll on the 1st June. The banks will be into the dairy farmers like a pack of dogs. but they are not, they have completely backed off. The problem is enormous, we are talking over 60 billion of debt, average debt of 10k a cow, yet a 3rd of dairy farmers have no debt, the indebted ones are up to their necks in it. It is all about how to stop the loss appearing on the books, the easiest way to stop that is to slow sales and keep asset prices high with a little help from the RB and falling interest rates. To do this has required an extra 15 billion of debt so far. I don't think thats going to work, low interest rates are bringing returns down as new entrants enter with lower costs and we still haven't got our heads around globalisation. I do expect prices to recover, I just don't think they will be sustainable. Total Chinese dairy import volumes originating from New Zealand declined 7.9% YOY while import volumes originating from within the EU-28 increased to a new monthly record high during Apr ’16, finishing 69.4% higher on a YOY basis. Cheaper global milk powder prices will not trigger a surge in Chinese buying, say experts. Russia has begun building new dairy farms and milk processing, worth almost $3 billion, as it continues to lock out western food. Aj, you nailed it, great post. The question now is, will the banks 'double down'? In a classic martingale betting style, gamblers increase bets after each loss in hopes that an eventual win will recover all previous losses. Maybe Fonterra could explain to us why the pay the farmer a mere 32 cents per litre for milk , when it sells for as much as $2 per litre in Auckland ? It takes 12 litres of raw milk to make 1 kg of milk solids so calculating the price the farmer receives per litre is simple . How can it end up costing the consumer 625% more by simply pasteurising , bottling and transporting it ? Who is the real profiteer here ? Not so simple boatman. The milk bottle in my fridge says it contains 6.6% milksolids, New Zealand average is 8.6% of farm. So you forgot to add " and take 25% of the milksolids out of it" to your second last sentence. I agree with you Andrew the banks have backed off down in the south iI think none of them want to be first.It is like playing poker,who is going to blink first. Talking with a dairy consultant yesterday he has been bought in as independent advisor to several absolute cot cases,huge negative equity situations. The thinking is, if we wait long enough the cog's will turn and we will come back to good times again, just got to bluff our way through the bad times. How that works in an oversupplied market where no one is reducing production, I have not a clue. Lol it's called long term thinking and I have to admit I'm always complaining about current economics only ever thinking sort term. But you are right. the bad news is , in the long term we are buggered. From your link. "Chloe first made national headlines after speaking to Daily Mail Australia about her petition asking Agriculture Minister Barnaby Joyce to help farmers after Fonterra and Murray Goulburn slashed the price of milk paid to producers. The price of milk solids per kilogram dropped from $5.60 to $5." $AU5 = $NZ5.35. And the Aussie farmers can't make money at that price either..
its called burying ones head in the sand redcows. Any idea where you would get demographic stats for farm owners? It may not be the banks that pull the trigger but aged farmers looking to cash out sooner rather than later? Dairy farmers are on average aged 41.7, considerably younger than the average for beef (56) and sheep farmers (53). I read that article and took from it that they were referring to the average age of people working as farmers, as opposed to owners of farms as Hamish asked. Got a call from a relative looking at buying a farm up north, looking to offer $20/kg around $10000/ha and less than $1000 per cow. Owners been there generations, nice farm and just want out, now. I would be interested to know how they get on with that offer, that per ha price is about drystock farm money so we could very well see some drystock conversions in the future. you cannot get a bit of crispy Hawkes bay for that. Hamish, Was at a meeting today and this question was asked. Answer came back at 56. Said it hasn't changed for a few years - perhaps the effect of family succession? The rise of corporate owners might also have an impact - I wonder if they are not counted. I wonder if they have backed off or is there any truth to the rumour that a fair bit of the debt has been bundled up and sold off shore, so it becomes someone's else's call ! We saw how that played out in 2008/9 in the States etc. Around here, it seems it's the smaller players who are getting the phone calls to rouse up some more cash ! Are dairy farmers still paying interest only & no principal repayments? There have been a number of 2nd class dairy farms selling around $10k per ha not including shares ( $20 per kg ) up north over the past couple of months. Distance from town and schools, small/old cowsheds, lack of fertility. The biggest determinant of price does not appear to be farm quality or value but the circumstances of the vendor, banks are approving deals at these levels. Was on a recently sold dairy farm today and at the price sold would have stacked up fattening beef. Cow prices have lifted, no quality available under $1000 now - been told a lot of eczema hit herds down south have been topping up recently. What have you seen Jersey cows selling for? I ask because my neighbour is trying to sell 400 top cows and the best they have got so far is $900 for the top 100 cows. I am not a stock agent - but I understand cow prices currently are dependent on location. Just bought some poorly recorded but early calving average type jxf young cows at $850 but missed out on a line of larger fr cows where vendor wanted $1100 plus. Some top up lines are making as much as whole herds were a month ago. Schedule at $4.50ish is setting bottom line for price. I don't give advice ( it can backfire ) but once your neighbor sells the top 100 cows they will bugger up the value of the rest -maybe offer a computer split? have noticed a definite tightening of availability in last ten days and farmers that have to sell cows have done so already.